‘Who has believed our report? This was our 10th Journey to Auschwitz. The year was 2007 — the start of the Shmita Year or the Shabbat Year, according to Leviticus 25 –just prior to Yom Kippur. On this trip I took no additional people with me to the Death Camps besides my husband and choice members of my Team. We all walked as many times before to the edge of the Ash Field. It was here that the ashes of one and a half million Jewish People, exterminated and cremated by the Nazis, were spread. However, there were no ashes to be seen, as they were buried under a soft carpet of green and tender grass. 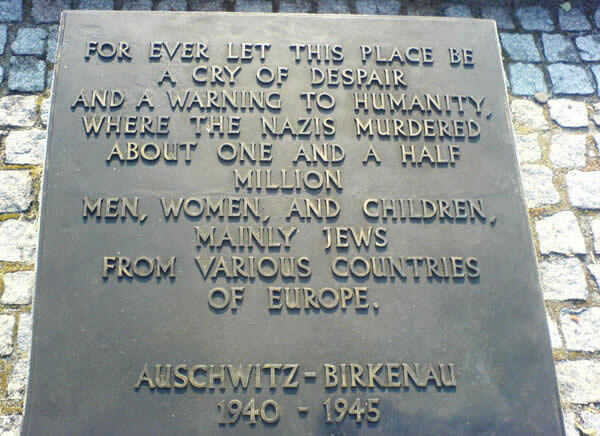 I remembered the first time I visited Auschwitz in March of 2000. 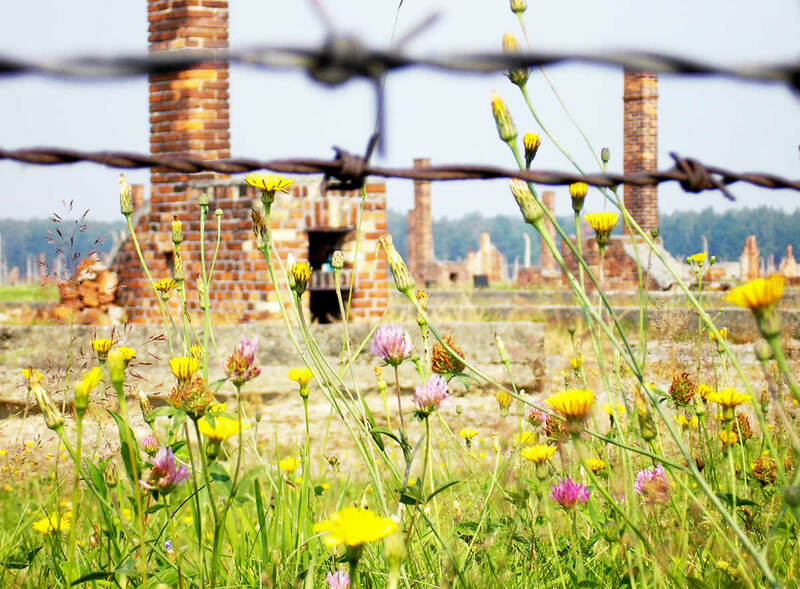 I saw the beautiful wild flowers on the carpet of green grass everywhere in this Gate of Hell of Auschwitz and Birkenau. When someone picked a wild flower there I got angry, as underneath it were the blood and ashes of my people, of HIS People! My anger subsided when I saw the same person place those wild flowers he had just picked up on top of the Memorial Stone for the exterminated victims. Then I broke into tears. That was my first journey — but now, now I was on my 10th journey and I convocated my Team at the edge of the Ash Field in the death machine called Birkenau or Auschwitz 2. “Let us take an hour of prayer: choose your position around this field and see what the God of Israel will tell you”. As my Team Members began to scatter to the four corners of the Field, my eyes rested on the one and only tree in the midst of the Field. The Spirit of the Most High compelled me to step over the green, soft grass and to position myself in the Midst of the Field under that tree. “Rest here a while”, He whispered softly. “Lie down here and rest”. Everything in me rose to object! “How can I Lord? How can I rest on top of the ashes of my people? Their blood is crying from this ground!” His gentle but firm nudge was clear in spite of my emotional objection. I was to lie down on that grass on top of the buried ashes. 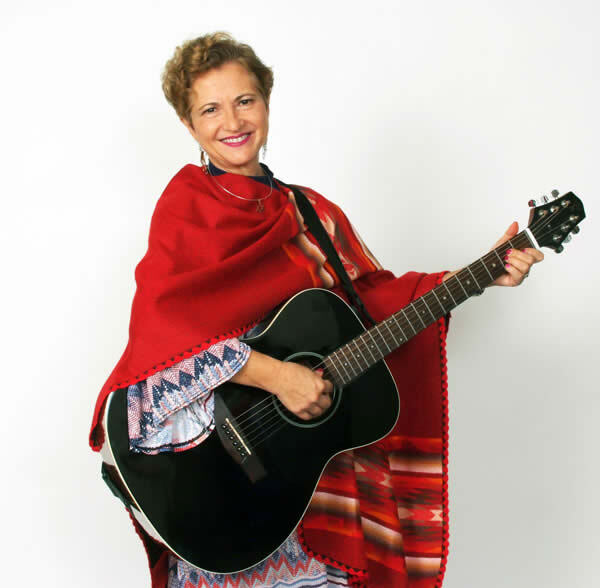 Gingerly I removed my South American poncho that represented my Jewishness as a Sephardic (Spanish) Jew and I spread it on the ground. I was not going to lie on this holy, terrible ground without a protection –my Sephardic Poncho (a Spanish Tallit) seemed to furnish me some measure of comfort. Reluctantly, I laid my stiff and tense body on top of my security blanket and prepared to listen. As soon as my body touched the ground, I peculiarly went into rest and relax mode, into worship and prayer. Then I envisioned the one and a half million of my people whose ashes I was disturbing. The family of my husband Rabbi Baruch Bierman has about 50 pages of victims in the archives of Auschwitz. I did not think that any of my family ended here, as we Sephardic Jews suffered mainly at the hands of the Spanish Inquisition — who expelled us out of Spain in the name of Jesus Christ. Little did I know that 11 years later I was going to be terribly shaken as I unearthed a heart-rending discovery that would dispel this belief that I had no direct family among these ashes. His anointing on me began to increase and increase and then He spoke. “This is your pulpit, this is your Altar of Ministry. From this place you preach — whenever you preach, wherever you preach”. I broke into tears! How could I be the Voice for the ashes of my Jewish People? How can I be the Voice of their blood that is crying VENGEANCE from the ground that drunk it? For every drop of blood, for every ash of exterminated Jews I demand a soul be saved. I desire that the Church be transformed into a Ruth and an Esther on behalf of Israel – and that nations would come to repentance for hating the Jews and everything Jewish. Then the curse would break, Israel would be saved and there will be Sheep Nations. Millions would come to the knowledge of Yeshua being a Jewish Messiah that loves His People, the Chosen Jewish People. Where there has been hatred I will sow love. Where there has been bitterness I will sow forgiveness. Where there has been evil, I will sow good. Where there have been lies, I will sow TRUTH! This vow was made on the blood and ashes of my exterminated people. At that time I thought that I was not a direct descendant of any of the victims of the Shoa (Nazi Holocaust), yet I knew that the God of Israel had chosen me for a terrible, yet glorious task. I was to dispel the lies of Replacement Theology that had plagued most of Christianity in one way or another – this wickedness has caused the hatred, humiliation, torture and extermination of millions of Jews. And I was assigned to release Mercy as an Israeli Jew on the repentant peoples and nations. It is 2018 — 11 years later. 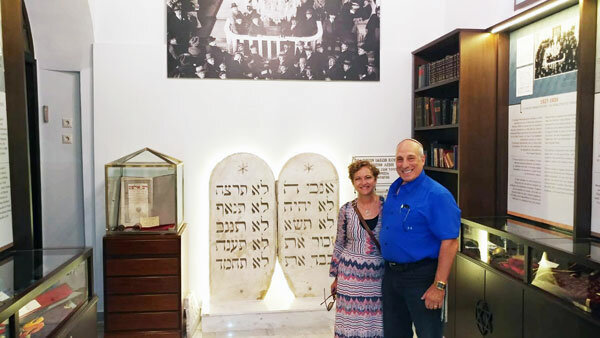 I recently did a personal Roots Family journey to Macedonia (area of the former Yugoslavia) and Greece, where my Spanish Jewish ancestors settled after 1492– the expulsion from Spain by the Spanish monarchs and the Spanish Inquisition. 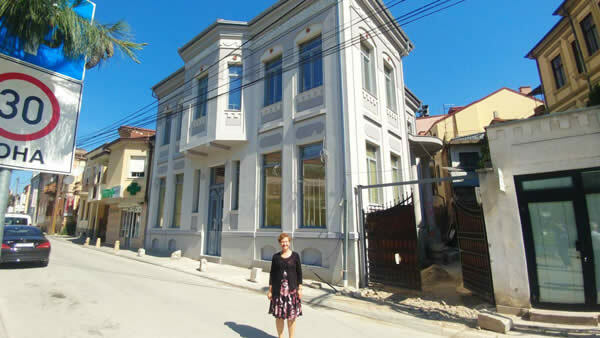 Following my arrival to Bitola (Monastir then) my soul was pierced with emotion when my host showed me the Albala House. This beautiful, restored castle belonged to the last living members of the Albala Family (my father’s lineage). Benvenisti Mercado Albala boarded the train to the Death Camp of Treblinka together with more than 3000 other Monasterli Jews on the 11th of March in 1943. His glorious house was still standing, enjoyed by others — but he and his family was no more. We continued our tour of Thessaloniki into the Jewish Museum. This was Friday, the sixth day of the week, the 1st of June of 2018 — right before Shabbat. We needed to hurry as the Jewish Museum was about to close in honor of the Holy Day. Almost breathless we ran into the museum and went through the gates to the top floor. Quickly we saw the exhibits, the faces of a once glorious Jewish Community that was almost completely exterminated by the Nazis. In all, 96% of the Jews of Macedonia and Greece (for the most part Sephardic Jews) were transported to the Death Camps of Poland and were exterminated by the Nazis. Most of my family had been exterminated by the Nazis and I did NOT know it! My parents never talked about it — they never told us. My grandparents did not talk about it. No one did! Bitter and hot tears spontaneously burst out of my eyes. I began to weep uncontrollably, mourning the death of my personal family members for the first time in my life. They began to close the Museum and I ran to the shop, still with fresh tears in my eyes. I had to buy the Jewish Symbol CHAI which means LIFE and take it to my children and sister. Yes, the People of Israel are Alive! If my grandparents would have not escaped to Chile, I would have not been born! My children Adi and Yuval would have not been born — neither my brother and sisters and their children! My maternal grandfather’s sister escaped to the Land of Israel (then called Palestine) and had settled in Motsa, across the Hill from Castel and Mevaseret Zion at the western Gates of Jerusalem. If not, my cousin Eli and his daughter Meira and many, many more members of my family would have not been born to possess His Land and to fulfill His Word! I had to buy a Mezuzah from the Jewish Museum of Thessaloniki, a symbolic Mezuzah in memory of all my exterminated family. This beautiful Mezuzah would be displayed at the entrance door of the UNIFY Embassy of the Nations at the Gates of Jerusalem across the hill where my surviving family has settled since 1930 (before the rise of Hitler to power). Why join the United Nations for Israel? Why support the Embassy of the Nations at the Western Gate of the City on the Jerusalem Hills? Because this woman that is now writing to you has been chosen by the Almighty as a survivor of a largely exterminated Jewish family to extend mercy to the repentant nations and peoples that will now TURN to do good to Israel — as an Act of Restitution, like Ruth turned to follow Naomi. The Window of Mercy is opened for a very SHORT TIME and the United Nations for Israel is the platform that He has given to us in order to release that Mercy. It is based on Repentance and Acts of Restitution towards Israel and the Jewish People. The Blessing or the Curse upon individuals and entire nations depends on this! Forgiveness is FREE but it’s not cheap — it requires ACTION! Join the Movement to overturn the wicked plans of modern day Haman against Israel. 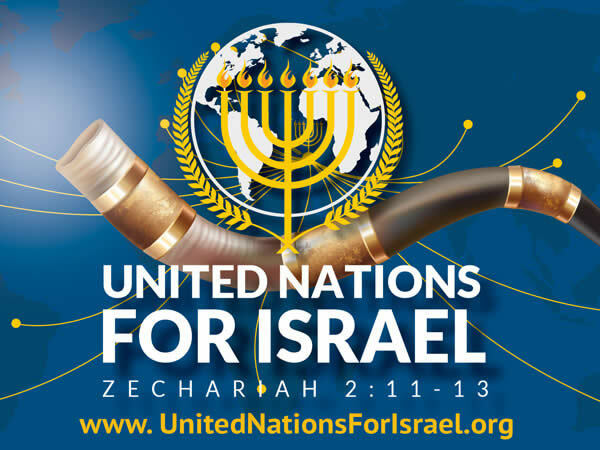 Join the United Nations for Israel transforming goat nations into Sheep Nations, one person at a time. We were called for this purpose because of His Immense Mercy. AM YISRAEL CHAI! The People of Israel are ALIVE. I am ALIVE!